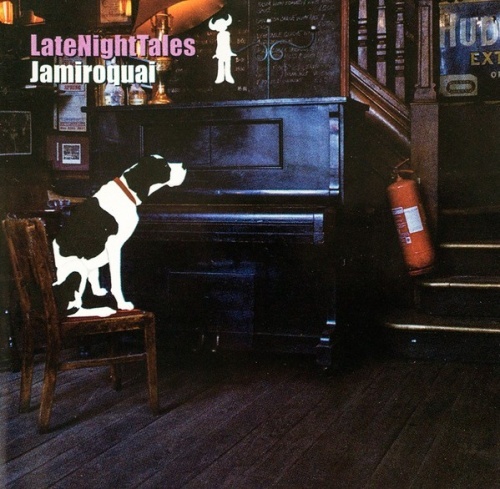 Jamiroquai's volume in the influences series Late Night Tales dovetails nicely with the loose-groove party funk Jay Kay and co. have made a specialty since debuting on England's acid jazz scene in 1992. Spanning the twin towers of late-'70s R&B -- disco and quiet storm -- the mix includes plenty of sexed-up R&B from Leon Ware ("What's Your Name"), Rufus & Chaka Khan ("Once You Get Started"), Kleeer ("Tonight's the Night"), and Skyy ("Here's to You," an unexpected gem). Still, having much to prove to jaded music fans and facing a steadily shrinking pile of rare grooves thanks to mixes like these, Jay Kay doesn't succeed in creating a truly diverting mix. Late Night Tales functions best as slinky background music to introduce a night out, or as a time capsule of pleasant yet mostly unimportant period music. Kay gives the compilation much-needed character, though, with a pair of changeups: a Liverpool band named the Real Thing, whose "Raining Through My Sunshine" was a personal favorite, and the underrated José Feliciano, whose "California Dreaming" is the track closest in vocal performance to Kay himself (alas, Stevie Wonder is nowhere to be found here).